17 Nisan 2019 Çarşamba 19:03 - 2 reads. 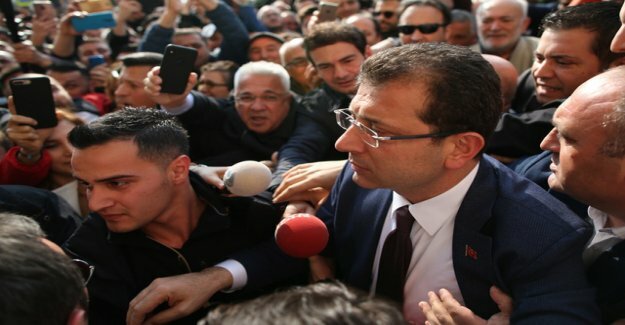 a Good two weeks after the mayor elections in Istanbul, the High election Commission declared the opposition candidate Ekrem imamoğlu officially to the election winner. The politician of the Republican people's party (CHP) took place on Wednesday afternoon in the Istanbul's justice Palace with his certificate of appointment in reception, as his party announced. The ruling AKP had previously applied in vain to wait until the decision on their application for new elections. The President's party, Recep Tayyip Erdogan had be requested on Tuesday afternoon at the election Commission, the cancellation and rerun of the mayoral election in Istanbul, as there have been numerous irregularities. At the same time, they submitted an application to wait with the Delivery of the certificate of appointment to imamoğlu, until their application was decided on new elections. This is the electoral Commission rejected on Wednesday. imamoğlu was on the ballot on July 31. March ended up with 25'000 votes in Istanbul, just in front of the AKP candidate Binali yıldırım. After Verifying the invalid votes and the recount of ballots in several districts of the Bosporus metropolis, this advantage decreased. announced As the election Commission now, imamoğlu, but with more than 13'700 votes in the lead. He now wants to compete officially in the city hall of Istanbul office. The economy of the metropolis was ruled for 25 years by Islamic-conservative mayors. The defeat in the city is a loss of face for Erdogan, who was once mayor of Istanbul.